Wilbur F. Hinman, Major, United States Army. Major, 65th Ohio Volunteer Infantry, October 16, 1840-March 21, 1905. Buried in Section 3 of Arlington National Cemetery. 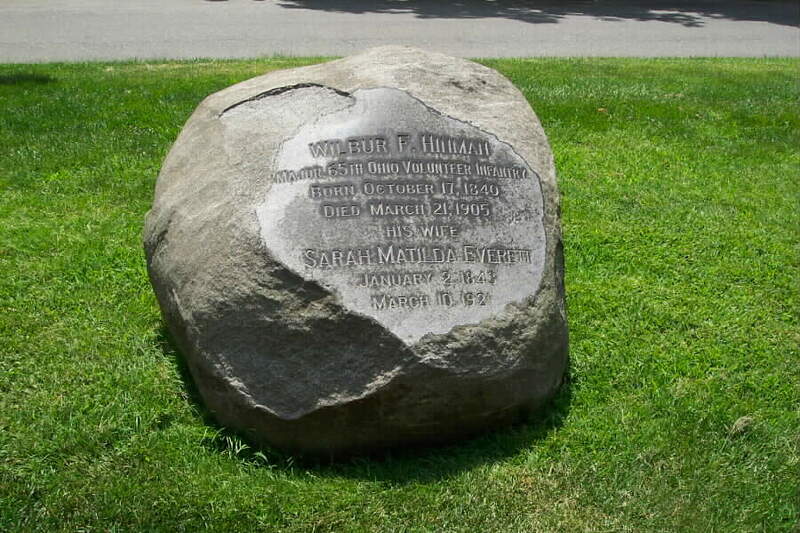 Sarah Matilda Hinman, the wife of Wilbur F. Hinman. January 2, 1853-March 10, 1924. The Story of the Sherman Brigade. The Camp, the March, the Bivouac, the Battle, and how "The Boys" lived and died, during four years of active service. Sixty-Fourth O.V.V.I., Sixty-Fifth O.V.V.I, Sixth Battery, O.V.V.A., McLaughlin's Squadron, O.V.V.C. With 368 illustrations. 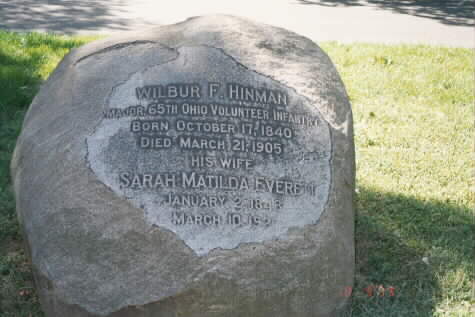 by Wilbur F. Hinman, late Lieutenant-Colonel Sixty Fifth Ohio Regiment. Published by Author. Alliance, Ohio 1897. Corporal Si Klegg and His "Pard". How they lived and talked, and what they did and suffered, while fighting for the Flag. 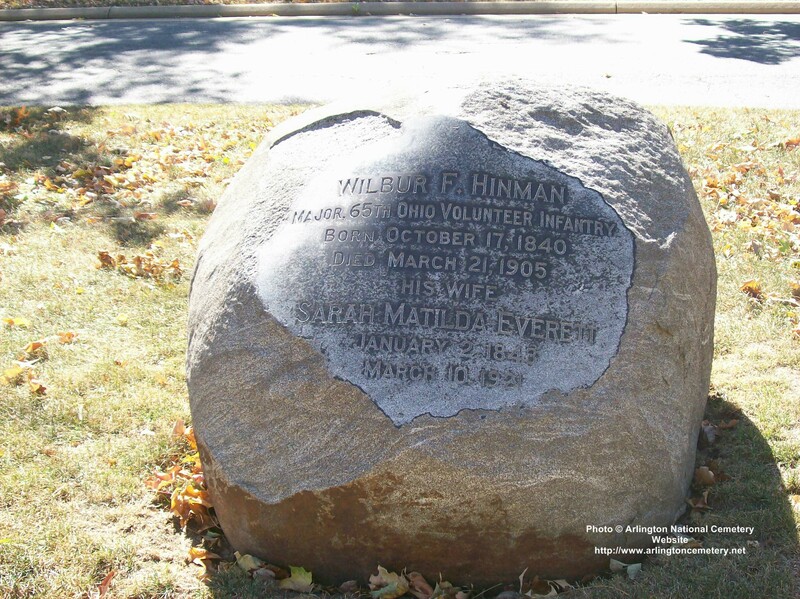 by Wilbur F. Hinman, late Lieutenant-Colonel Sixty-Fifth Regiment, Ohio Veteran Volunteer Infantry. N.G.Hamilton & Co. Cleveland, Ohio 1889. Written by a Civil War veteran for other Civil War veterans. Hinman created a fictional unit and characters based on his wartime experiences and takes you through all his triumphs and tragedies. 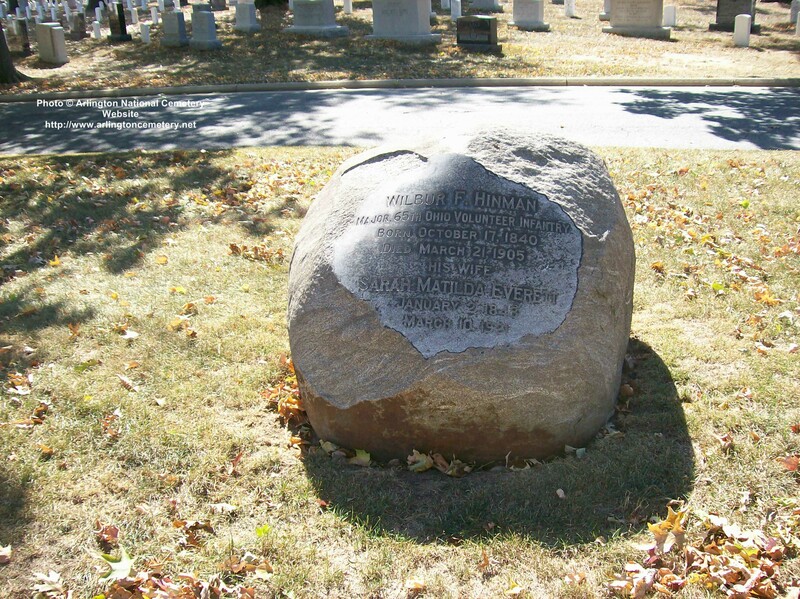 "The Story of the Sherman Brigade " by Wilbur F. Hinman, Lt. Colonel - Sixty-Fifth Regiment of the Ohio Veteran Volunteer Infantry. Published by the author in Alliance, Ohio - 1897.